Okay so the common consensus is *most* powered speakers with built in FIR & limiting & DSP = much better speaker than their passive counterparts. The problem is the install of AC power close to the powered speaker. That requires an electrician right? Using SOOW in an installed situation isn't possible 400.8(1). It's not possible for me (not licensed electrician) to run some conduit or MC cable right? Does everyone else ALWAYS subcontract an electrician to do that work? or is there another means of getting an outlet 30+ft in the air near the speaker location? Seems like FIR/LIR processing at the amp might be the only way to achieve the higher quality of a powered speaker. Yes, the client either arranges for an electrician or we'll make those arrangements for them. We don't install outlets. Fulcrum and JBL and EAW offer loudspeakers with external DSP amplifiers. That depends on your local codes and ordinances. Electrical codes and permit requirements are usually administered and enforced at the local level (and in some states, at the state level). Despite the "National" in "National Electrical Code" electrical wiring standards and their application are neither developed, ordained, licensed, permitted, or enforced by any agency of the Federal government, except on Federal government property. Many places allow HOMEOWNERS to perform electrical work IN THEIR OWN(ed) HOMES. Most places require a licensed electrician to perform electrical work in businesses (including not-for-profits such as churches), with a permit and inspection. Some places -- like rural parts of Wyoming, Idaho, or Montana -- might not care. Do all the wiring you want, without any permits or inspections. Your liability insurer probably will care. They'll probably say "don't touch it." Even if you have an electrician license, if you don't have the proper insurance coverage, they'll say "no." You should care. The saying "you touch it you own it" applies here. Yes, you may be qualified. You may be able to install it with impeccable workmanship and according to all applicable codes. But, when there's a problem, they'll be looking at you, even if it's not your fault. Are you willing to accept that risk? We go as far as giving the client a drawing showing where the outlets should drop and suggest how many speakers can be powered by which circuit breakers. And I'll answer questions from their electrician prior to them do the install. 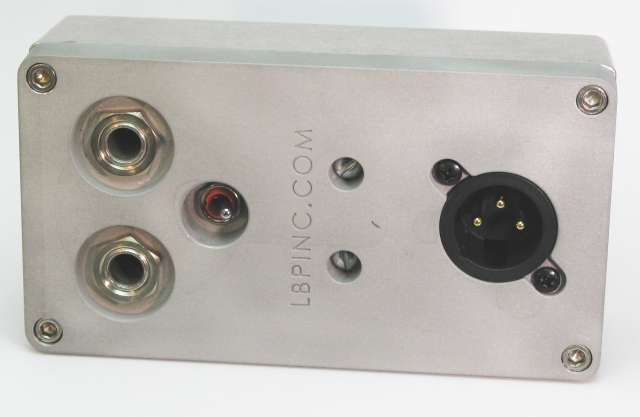 But we don't install outlets ourselves, only recommend what's required to power our AVL gear. That's quite a blanket statement. I agree that a piece of equipment 15ft+ in the air isn't as easily serviceable as something mounted in a rack. Flying two boxes above the stage in a bar/small club is also an install if you ask me, and now you may be lucky if you get more than 10 ft of height to play with. Multiple factors lead to system design choices with budget mostly being the main one. In the example above not having to designate/create an area/rack to mount processing and Amp racks is a mayor plus to the owner/client as it saves space and possible expenses for making the rack. At these levels/price points the sound quality to dollar ratio of an active system is better than a comparable passive one. Especially considering the fact that a DSP capable of doing what is being done in these boxes costs more than a single active speaker. Even though it consists of three or more elements I see an active speaker as a single point of failure. Reliability is usually also pretty high. You make good points. Thank you. IMHO One of the major advantages of active speakers with built-in amplifiers, crossovers, and DSP is that the client can't get inside of the speaker and change things like crossovers and limiters. That makes active speakers a lot safer to use than passive speakers with a rack full of amps and processors that are just asking to be tweaked. From an installer perspective that can make active speakers worth the trouble of running a few extra AC power lines to feed them. Well, I need to disagree with that. On behalf of my church, I don't want to pay extra to make things unaccessible to us. We have a rack mounted DSP. I have never touched the settings, but if our professional sound guy leaves the area, retires, or dies, I have the password and manual and we can get in there if we need to. The thinking is not unique to this industry. John Deer wont let you service your own tractor. They are protected by dealer only software. No problem. I don't buy John deer. For me, I care about sound quality and price. It's sometimes cheaper to buy a speaker with everything it needs to do its thing and run power in SOME circumstances.